Lieb Cellars is back yet again on the blog for Round 3! 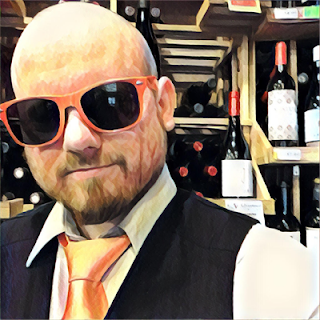 To read all the reviews I've done on this Long Island winery, as well as their great story, check out A Brief History of Lieb Cellars - On the North Fork of Long Island, New York! This go around I'll be tackling two Bridge Lane label items, 2015 Sauvignon Blanc and 2016 Rosé; and two Lieb Cellar label items, 2015 Reserve Pinot Blanc and 2014 Reserve Petit Verdot. 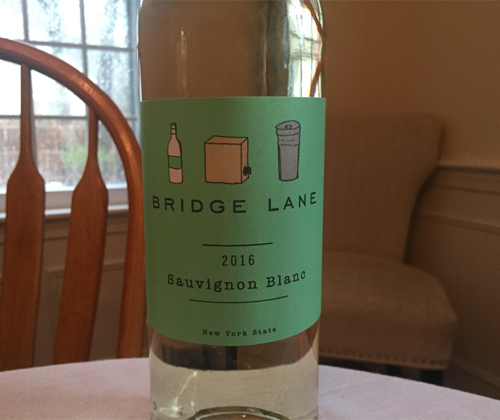 Bridge Lane is Lieb's entry level label, with the place of origin listed as New York State rather then Long Island. With the 2016 vintage they've dropped their White Blend in favor of producing this here Sauvignon Blanc. Long Island seems to find its most success with Bordeaux varietals so it absolutely makes sense that this would happen. Their new Sauvignon Blanc sees no oak, is fermented until there is zero residual sugar, and it has an ABV of 12%. GOT MORE OF THAT CHEESE? I'm going to honest with you. I'm kind of upset right now. I put some cheese and crackers down on the desk for me to pick at during the writing of this review, and it's already gone before I even taste the wine. Goddamnit! I should have known. Putting cheese in front of me is the equivalent of placing crack in front of a recovering crackhead. I want it! I need it! And then I just binge until I pass out! Should I go get some more? 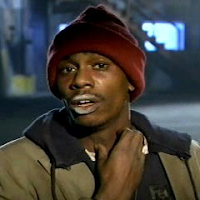 I'm going to go get some more. The bottle has a screwcap. The color of the sliced Colby cheese is light yellow splashed with a darker yellow. The color of the wine is pale yellow with a slight green hue. The genre of the music I'm listening to is atmospheric black metal. On the nose it's grass and lemon peel that burst right up your nostrils, followed by melon, white flowers and quinine. I was expected this to be light and crisp and zippy but it's got a medium body with a little creaminess to its mouthfeel. Its acidity is still zippy, though. The palate is just a big serving of lemons and grapefruits with little chunks of kiwi, and it finishes long with lemons and that zippy acidity. It's not going to make you call your local newspaper and tell them to hold the front page, but that's not what Bridge Lane is all about anyways. Everything I've ever had from this label has been approachable, easy drinking and fun for everyone. This Sauvignon Blanc continues that trend. For the $18 you spend, you'll be happy with it.